Today, momentum is replacing velocity as the desired goal in greenhouse horizontal air flow systems. The goal of a momentum-based system is to create a stable mass of air that slowly builds momentum as it travels through the greenhouse. Photo from The Dramm Corporation. Maintaining consistent air flow in the greenhouse is critical to producing healthy plants. However, there are different theories as to how to achieve an optimal air flow system. 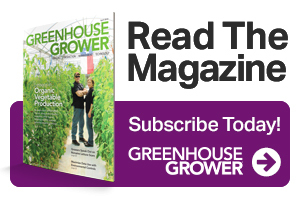 The true goal of any air distribution system in the greenhouse, Becker says, should be to homogenize the air, as plants can transpire more evenly and efficiently when the microclimate around the plant is removed. Here, Becker outlines four strategies for proper air flow. These strategies include the type of fans you’re using, and how they are positioned within the greenhouse. The problem with the parallel layout, Becker notes, is that it is based on the greenhouse structures all being the same size, and on flat land. Several years ago, Becker and his team met with a supplier in the livestock industry who was promoting the series layout. 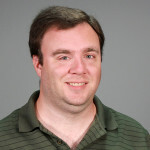 “We liked the idea, although there was an issue with the type of fans they were using,” Becker says. The livestock producer Becker observed was using basket fans, which throw air in a much wider pattern, often impacting the crop below with varying direction and speed, and reducing uniformity. These wider patterns minimize forward momentum, as the air from the first fan in a series often conflicts with the air from the second fan, as the direction is non-linear. This results in uneven air flow and makes the second fan in the series work harder to move air forward. Becker’s team at Dramm combines the series layout with a shrouded fan concept. Shrouded fans give the same amount of force as basket fans, but with a more direct blast of air. Shrouded fans in a series work together to carry the air in a forward direction, reducing the energy required, and creating a more even, stable air flow. Additionally, the use of shrouds creates an intake, as well as an exhaust, something that unshrouded fans don’t have, Becker says. This intake can help keep the forward momentum going by pulling air in the desired direction. As a result of the increased distances and lower speed requirements of momentum-based systems, facilities need fewer fans and use less electricity. As recently as a few years ago, horizontal air flow (HAF) was thought of solely in terms of velocity. However, when the air in a greenhouse is being moved internally, velocity can be very hard to measure. In fact, bursts of erratic speed can cause instability in temperature and climate that can affect plant growth. Because of this, momentum is replacing velocity as the desired result in greenhouse air flow systems. The aim is to generate a stable mass of air that slowly builds momentum as it travels through the greenhouse. Interest in vertical fans has increased a great deal in recent years. These fans can homogenize the air vertically, removing temperature stratification from top to bottom. Vertical fans can also create movement at the crop level, helping with transpiration and the elimination of microclimates near the plants. However, the main problem with vertical fans in plant growth is the same as with speed-based fans, Becker says. 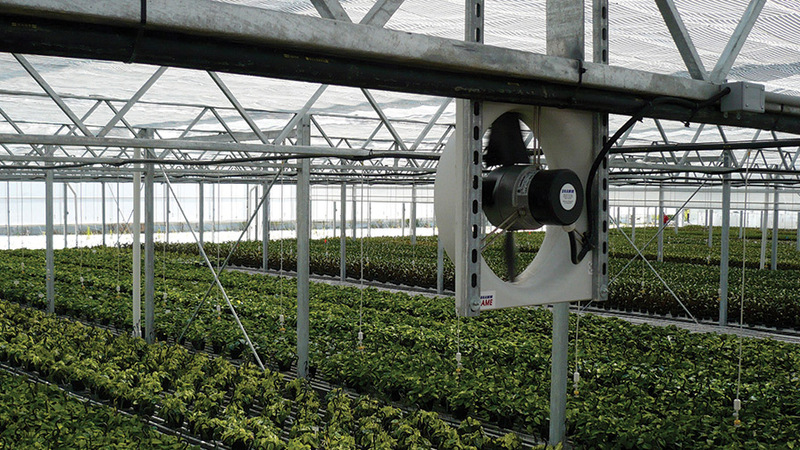 Horizontal fans, on the other hand, help humidity move evenly around the greenhouse facility, while also promoting transpiration. Dramm has produced a number of whitepapers discussing topics related to its primary businesses, including one on momentum-based air flow for optimal plant growth. The whitepapers are available for free download and offer information to growers to help them make informed decisions. Learn more at Dramm.com/whitepapers.